The Stoop house sees Rietveld returning to his De Stijl designs of the 1920s. Its well-balanced east facade in particular stands comparison with the Schröder house. The house is assembled from freestanding facade planes, wood-framed glazing and a cantilevered flat roof. Separated from both roof and ground level by narrow, dark strips, the wall surfaces seem to float. 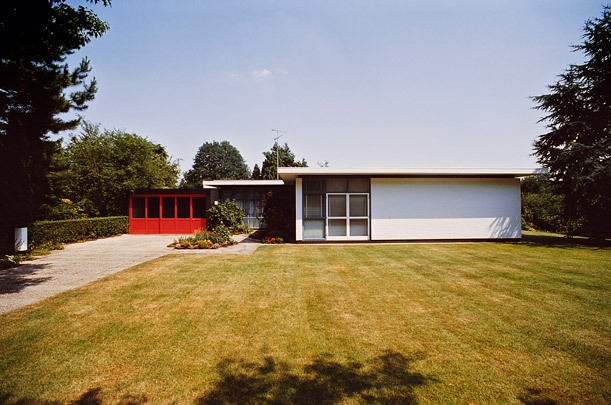 Next to it is the studio house of the artist Slegers, dominated by the large expanse of glass on its north side.